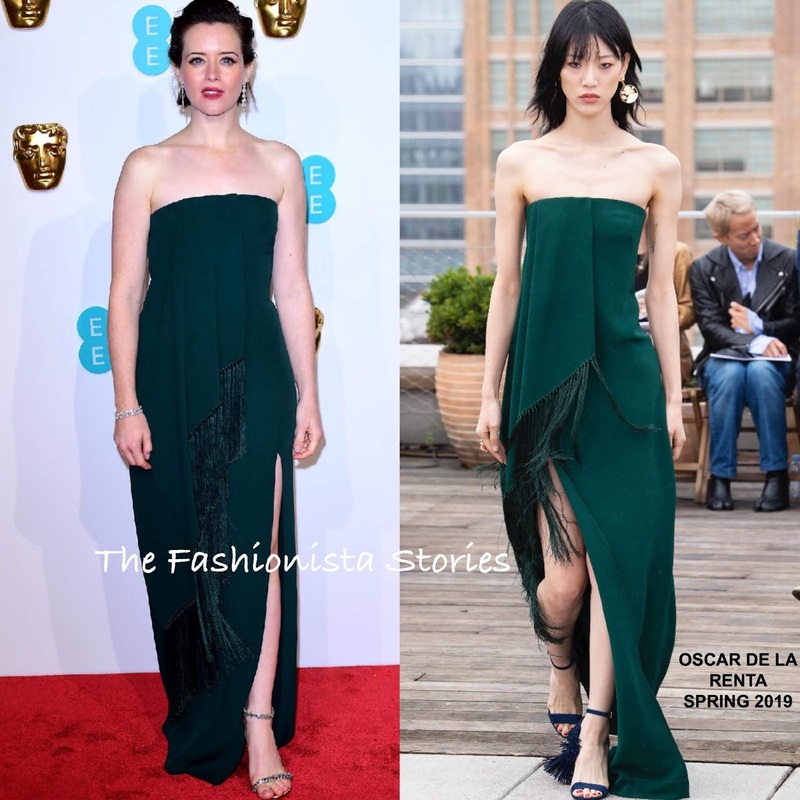 On hand as a nominee, Claire Foy hit the red carpet along with Sophie Okonedo wearing OSCAR DE LA RENTA SPRING 2019 at the 2019 EE British Academy Film Awards at Royal Albert Hall this evening(February 10th) in London. Claire Foy is wearing a piece from the collection for a second time. She chose a green strapless, floor sweep dress, featuring a draped fringe panel and a slit. Without the fringe panel, this would have been really boring but it adds a touch of movement to her loose fitting dress. Also the color lip helps to keep it alive. However her look still doesn't excite. Sophie Okonedo wore a strapless black leaf embroidered, with a contrasting white panel underneath for coverage, a v-neck, and a slight high-low hem. While she is still pretty, I feel like something a missing here, maybe a colored lip or some jewelry.